When they said that ‘Pombe si Ribena’ they had in mind drunkards such as the one you are about to see. The thing about taking cheap liquor is that it gets you into a fighting mood. Add to that the confidence that comes with being inebriated and you get yourself the village badass. 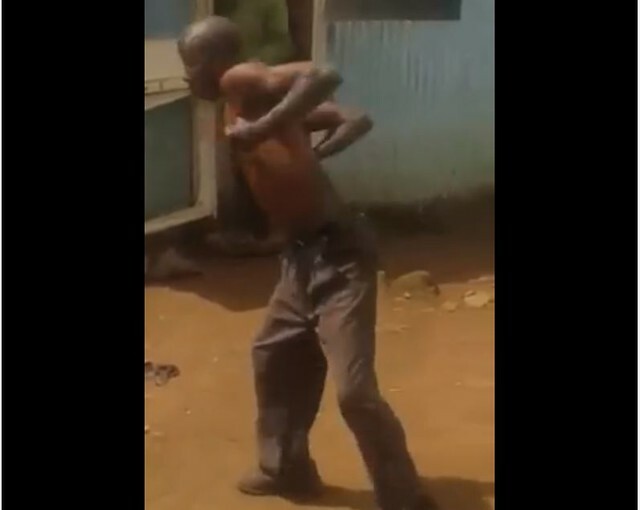 This guy, presumably from Nyeri, had one too many and automatically turned into a KungFu master. Reminds me of the 1994 film, ‘The Legend of Drunken Master’, which we all loved as kids.